A mixture is a blend of two or more elements and/or compounds which are not chemically combined. These mixtures are not fixed and therefore each element and/or compound keeps its own properties and can be separated back into its elements and/or compounds easily. An element is a substance made up of just one type of atom. Elements are pure substances that cannot be split up into a simpler substance. There are just over 100 elements that make up all matter. A compound is a substance made up of the atoms of two or more different elements that have been joined together from a chemical reaction. Most substances around us contain more than one element. • Mixtures can contain solids, liquids and gases. A mixture can contain solids, liquids and gases. • Mixtures contain substances that are not chemically combined. 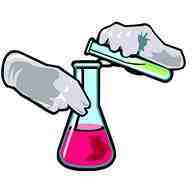 The substances in a mixture are not chemically joined together. • There are many different ways of separating mixtures. Some mixtures of solids and liquids can be separated by filtration. Filtration is one method of separating solids from mixtures. It depends on difference in the size of particles in the mixture. Chromatography is a way to separate a mixture of different colors of dyes. Filtration is a way to separate insoluble solids from liquids. Distillation is a way to separate a soluble solid from a liquid or a mixture of liquids. Fractional distillation is a way to separate a mixture of liquids that have different boiling points. Evaporation is a way to separate soluble solids from their solvent. Foam is a mixture of a gas in a liquid. An aerosol is a mixture of a liquid in a gas. Filtration is the process of separating a mixture by passing it through a filter. The filtrate is the part of a mixture that passes through a filter.